Avocados first grew in the grounds of what more than 9,000 years later is known as Mexico. Avocados, or “Ahuacatl” in “Nahuatl”, the native language of the Aztecs, meaning testicle, were discovered by the Spaniards in Mexico in 1518, where they were a popular fruit in the native diet. Today, avocado is mainly grown in the fertile grounds of Michoacán, where the rich volcanic soil, abundant sun and perfect amounts of rain combine to produce the most special avocado with an authentic and incomparable creamy texture and a full, rich flavor. Avocados are full of antioxidants which, according to medical experts, lower cholesterol and helps prevent certain types of cancer. They also contribute to fulfilling your daily fiber, potassium, vitamin E, folic acid and Vitamin B requirements. Our avocados also contain monounsaturated fats which are recommended to maintain low cholesterol levels. You will soon discover how the Mexican Hass avocados we use in our products can add a special flavor to all your dishes. Using our traditional guacamole, avocado pulp, avocado halves or any other product will give your soups, salads, sandwiches, desserts and simple appetizers a unique touch. Best of all, Mexican avocados are available all year! We use special ingredients for our Customers according to their country regulations. We do private labeling in special occasions. You don’t have a label? We can help make it for you! 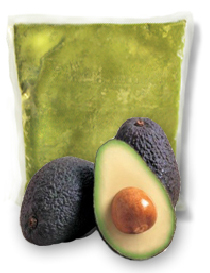 Did you know that our fresh Avocado Pulps and Guacamoles have double output compared to fresh? 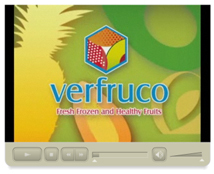 Our R&D department can help you develop your own recipe that will distinguish you from the rest. We have an office in the USA to better suit our US customers. Our Logistics department can help you get your product to your door. You are always welcomed to come visit us!